$4999 Total Due at Signing Including 1st Payment, Tax, Title and License Fees, 36 Months, Security Deposit Waived. 7,500 Miles Per Year, 0.15c Excess Mileage Charge. On Above Average Approved 730+Credit through Chase Financial. 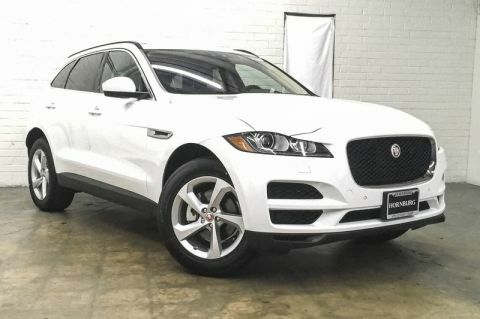 This outstanding example of a 2019 Jaguar F-PACE 25t Premium is offered by Hornburg Santa Monica. This Jaguar includes: SIRIUSXM SATELLITE RADIO HD Radio Satellite Radio KEYLESS ENTRY Keyless Start Power Door Locks Keyless Entry XENON HEADLIGHTS W/LED SIGNATURE DRL Daytime Running Lights HID headlights Headlights-Auto-Leveling GLOSS BLACK ROOF RAILS BASIC REAR SEAT CONVENIENCE PACKAGE (PIO) HEADLIGHT POWERWASH CONNECT PRO PACKAGE WiFi Hotspot Smart Device Integration WHEEL PROTECTION PACKAGE W/CHROME LOCKS (PIO) CAR CARE PACKAGE (PIO) EBONY/TONAL STITCH, LUXTEC SEAT TRIM Premium Synthetic Seats NAVIGATION PRO Navigation System TRAFFIC SIGN RECOGNITION NARVIK BLACK 19 INCH WHEELS: 5 SPOKE (STYLE 5037) (STD) Aluminum Wheels PREMIUM INTERIOR PROTECTION PACKAGE *Note - For third party subscriptions or services, please contact the dealer for more information. * Want more room? Want more style? This Jaguar F-PACE is the vehicle for you. You appreciate the finer things in life, the vehicle you drive should not be the exception. Style, performance, sophistication is in a class of its own with this stunning Jaguar F-PACE. Navigate through all the icky weather with ease in this AWD-equipped Jaguar F-PACE, and even get non-stop traction for your non-stop lifestyle! In addition to the amazing traction control, you may even qualify for an insurance reduction with this AWD vehicle. Put away your phone and focus on the road, your new vehicle has navigation. 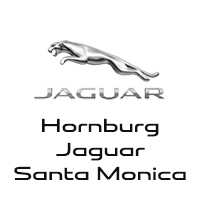 This outstanding example of a 2019 Jaguar F-PACE 25t Premium is offered by Hornburg Santa Monica. 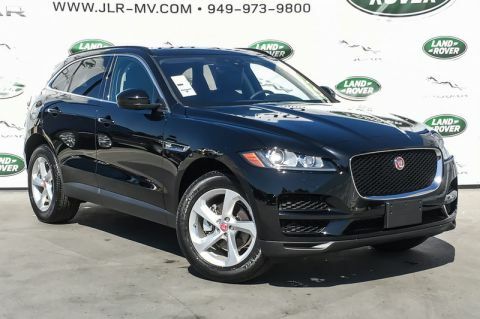 Navigate through all the icky weather with ease in this AWD-equipped Jaguar F-PACE, and even get non-stop traction for your non-stop lifestyle! In addition to the amazing traction control, you may even qualify for an insurance reduction with this AWD vehicle. Put away your phone and focus on the road, your new vehicle has navigation.